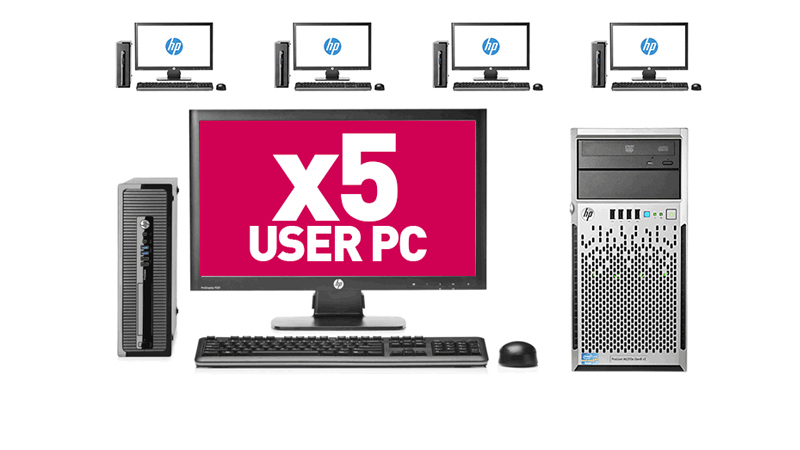 Our 5-user PC network is the perfect leasing solution for small businesses. 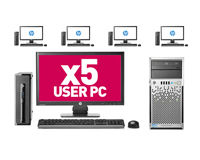 Starting at just £39 per week plus VAT on a three year flexible lease it offers you a powerful HP Proliant Gen10 Server with Windows 2016. All this plus five workstations with 22″ Displays. Microsoft Office 365 Essentials or Premium can be added within the lease package as well as other software licensing. The price includes everything you need to run your business with telephone & remote support alongside three years on-site hardware maintenance. Cabling costs can be included within your lease.